This 5 Panel ribbon allow you to print your ID card, Visitor ID, Student ID, Pass, Loyalty card or Gift Card in full color front and black back. This is the iSeries color cartridge 330 cards per ribbon. For the P310i P320i P420i P520i ribbon. Zebra iSeries color ribbon 5 Panel YMCKO with 1 cleaning roller, 330 images This 5 Panel ribbon allow you to print your ID card, Visitor ID, Student ID, Pass, Loyalty card or Gift Card in full color front and black back. 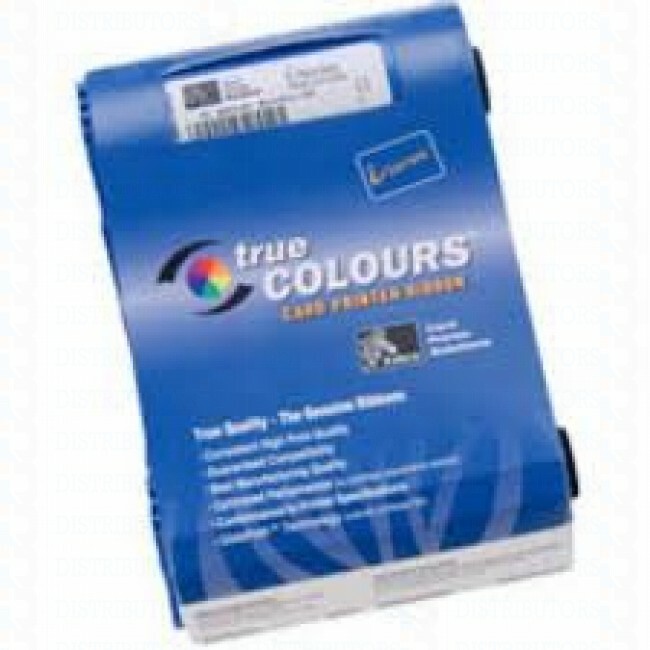 This is the iSeries color cartridge 330 cards per ribbon. For the P310i P320i P420i P520i ribbon.